Hearthstone is an epic, free-to-play digital card game based on Blizzard's Warcraft franchise. 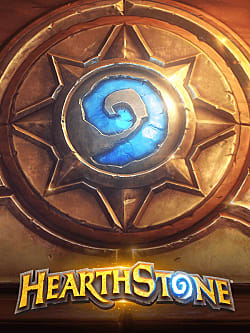 Like the strategy games that influence it, Hearthstone is a turn-based CCG that originally released in 2014. Developed by Derek Sakamoto and Mike Donais, the game features both PvE and PvP modes across platforms. Through the years, Hearthstone has received numerous expansions, including Goblins vs. Gnomes, Whispers of the Old Gods, Journey to Un'Goro, Kobolds & Catacombs, Rastakhan's Rumble, and Rise of the Shadows. Each of these expansions has brought myriad changes and additional cards to the game. Win fast and spend little with the help of our selection of the best budget Hearthstone decks for Rastakhan's Rumble meta. Dive into the world of trolls in the latest Hearthstone expansion, Rastakhan's Rumble, and discover its most powerful set of cards. How will Artifact fare against Hearthstone and Magic: The Gathering after it releases on November 28? Celebrate everything Troll with Hearthstone's next update, Ratakhan's Rumble. Here are all the sequnces for puzzles in the new Hearthstone solo adventure - the Puzzle Lab. Don't waste money on expensive and useless legendaries! Just craft these powerful budget decks and take Hearthstone ladder with a storm. Hearthstone Arena will experience some significant changes in The Boomsday meta, so here are 15 of the best cards that will help you beat it. All 135 cards from The Boomsday Project have been finally revealed, and here are the best of them all for Standard meta. Hearthstone's upcoming expansion, the Boomsday Project, has been announced -- and its bringing back fan-favorite Dr. Boom. An exclusive, officially licensed collection of metallic Hearthstone posters is now available on Displate. Find out more about the upcoming Taverns of Time Arena event and which new cards you should keep an eye out for during your drafts. Learn how to beat each boss in the Monster Hunt adventure levels 5-8 with the help of this guide to Hearthstone. Learn how to beat each boss in the Monster Hunt adventure levels 1-4 with the help of this guide to Hearthstone. Learn what passive abilities and strategy are the best against Hagatha the Witch in this guide to Monster Hunt adventure for Hearthstone. Learn how to build different versions of the Shudderwock Shaman deck, including decks that beat it, in this guide to Hearthstone. Can't find dust for all the new legendaries and epics? Don't worry! Try out these low-cost Hearthstone decks for The Witchwood meta. Find out which cards from the latest set, The Witchwood, will dominate the Hearthstone meta this year. Is this the most incredible mage comeback in Hearthstone history?